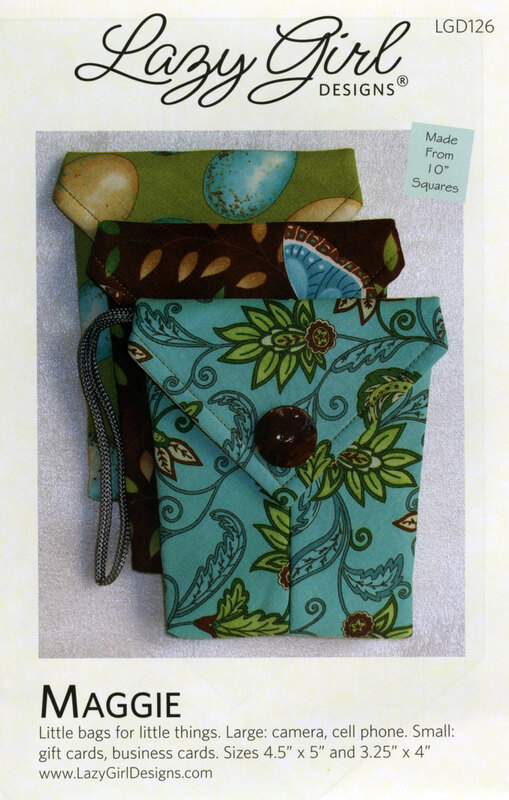 Make fabulous little bags for little things like business cards, gift-cards, a quilter's quick chocolate treat (or gum, mints, etc. ), a small camera or cell phone...the options are many! Two sizes included -- finished size 4 1/2” x 5” and finished size 3 1/4” x 4”. 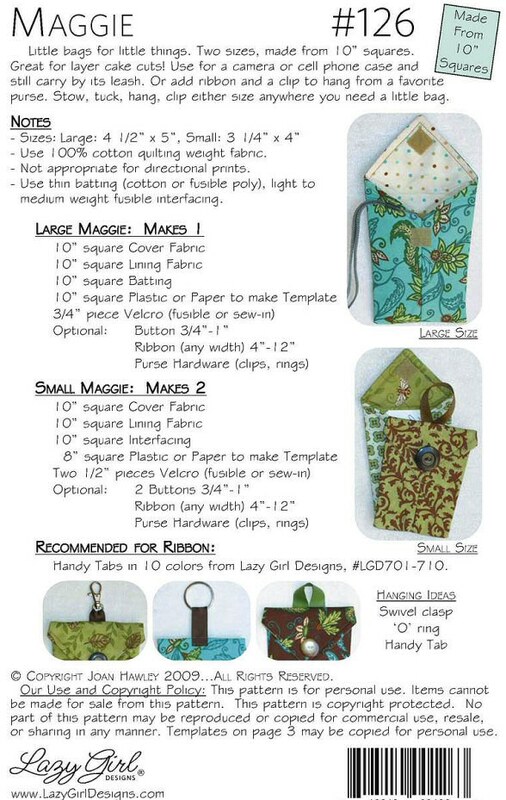 Make these little beauties from 10” squares. Use for a camera or cell phone case and still carry the camera or cell phone by it's leash. OR add ribbon and a clip to hang from a favorite purse. Stow, tuck, hang, clip either size anywhere you need a little pouch, packet or gift card holder.